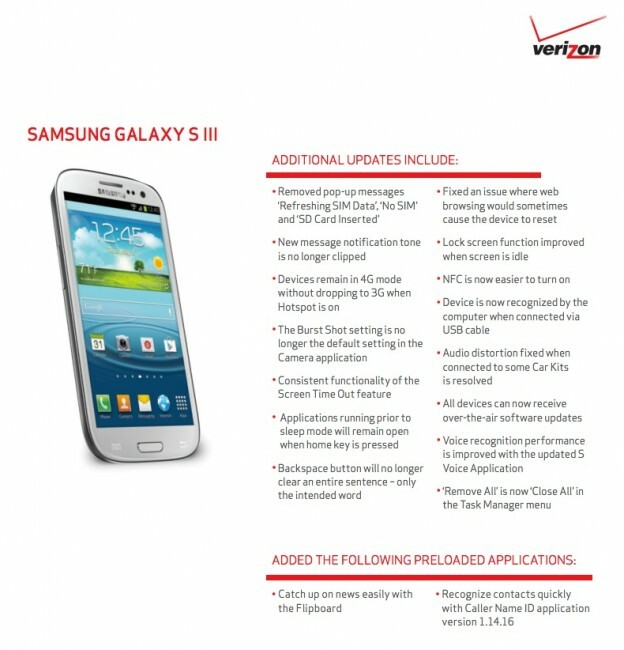 The Samsung Galaxy S3 received approval from Verizon this morning on a major update to build VRBMD3. The update includes a hefty list of enhancements like multi-screen and multi-window multitasking, Best Shot camera mode, better people tagging in photos, S Beam Auto Share Shot, and a image gallery. The bug fix lists mentions a more stable Hotspot experience, improved lock screen function, easier to turn on NFC, and a change to “Close All” instead of “Remove All” in the task manager menu. No word yet on when the update is scheduled to rollout, but typically when support documents are posted, we see the update go live within a matter of days. Update: The update appears to be live already. 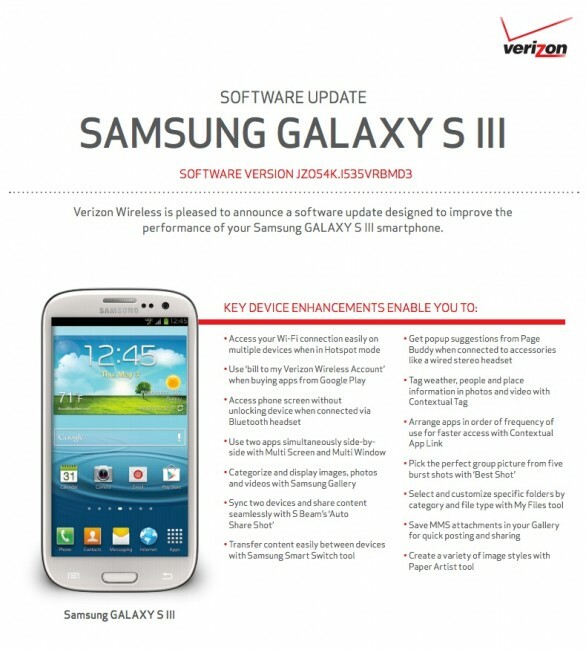 Head into Settings>About phone>Software update to grab it. The update is approximately 129MB in size.